For the last couple of months, MomMomOnTheGo and my Little One have been putting the Google Pixel 2 XL and the Google Pixel 2 to the test. I have been testing out the Google Pixel 2 XL and my Little One has been testing the Google Pixel 2. If you have a little one that is of the age that you are thinking of getting them a cell phone, then I suggest you check out Family Link and go read our Family Linke review here, before you decide on a phone and set it up. 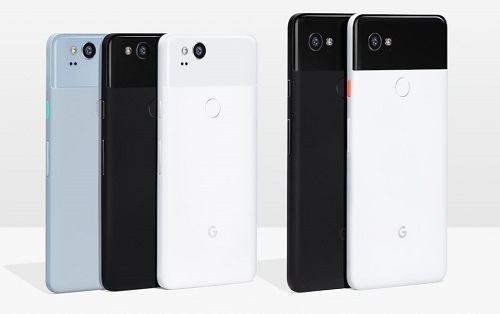 The Google Pixel 2 is the smaller of the two phones and it comes in three colors: black, white, greyish/blue. The Google Pixel 2 XL, by its name, signifies it is the larger of the two phones and it comes in two colors: black and black & white. Personally, I have never really been that focused on the color of my phone as I always love putting a protective case on my phone that adds color and personality. Both my Google Pixel 2 XL and my Little One’s Google Pixel 2 have protective Google Artwork Live Cases on our phones. To find out more about Google Artwork Live Cases check out my full review. An evolution of last year’s design for a fresh, confident and even bolder looking Pixel that feels great in your hands. ● The signature glass-aluminum design is back, with an elegantly crafted glass shade made of 3D Gorilla Glass 5. ● A blazing fast fingerprint sensor, right where your finger expects it. ● Two sizes and four colours: a 5” in Clearly White, Kinda Blue and Just Black and a 6” in Black & White and Just Black. 2. World’s highest-rated smartphone camera. Again. ● Brilliant photos and standout videos in any light. ● All new Portrait mode for crisp, beautiful portraits and selfies with a gorgeous background blur. Works on people, and objects. ● Incredible video stabilization thanks to a powerful combination of both optical and electronic image stabilization. 3. Unlimited storage for all your memories. Free, unlimited original-quality storage6 for all your photos and videos in Google Photos. ● Never look at a ‘storage full’ notification again. 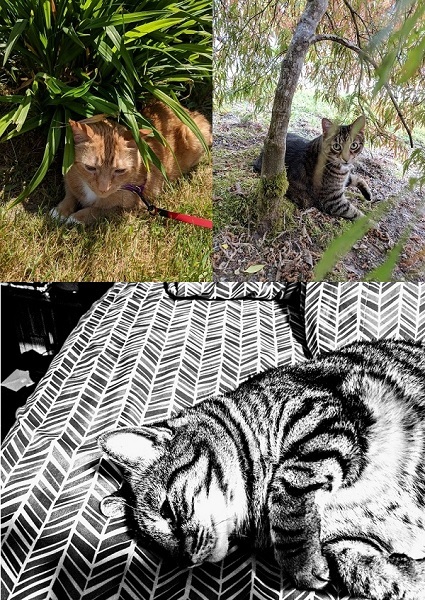 ● With Google Photos baked directly into your camera, it’s easy to save, organize, find and share any photo or video. ● No more endless scrolling to find an old photo. Just enter a location, a person’s name or even an emoji and quickly find what you’re looking for. 4. Have fun with your photos and videos. Take photos and videos with interactive AR stickers built right into your Pixel 2 camera. ● Add your favourite characters to your photos and videos. ● Express yourself with playful emojis. A battery that lasts as long as you do, and charges super fast. ● With a full charge, your Pixel lasts all day. ● Get up to 7 hours of battery from 15 minutes of charge. Pixel users are the first to try Google Lens 2 in Google Photos. Lens is a new set of visual smarts that help you learn about the world around you and get things done. ● Learn more about landmarks, artwork, books, movies, music albums, and video games. ● Copy and share URLs from posters and ads. ● Save phone numbers and email addresses right to your contacts. 7. Your own personal Google, built-in. Your Google Assistant is the easiest and fastest way to find answers and get things done on your Pixel. ● To pull up your Google Assistant, just squeeze the sides of your phone, say “Ok Google” or long press the Home button. ● Spend less time digging in settings, say “turn on night light, “turn on do not disturb” or “change my ringtone” and your Google Assistant will make it happen. 8. Big entertainment wherever you go. A new standard for audio performance, and a brilliant viewing experience. ● A razor-sharp full screen pOLED display on the Pixel 2 XL with curved glass for a crystal clear viewing experience. ● Dual front-facing stereo speakers give you crystal clear sound, even at the loudest levels. ● Now Playing surfaces song and artist info for music playing around you, right on your lock screen. ● Higher quality digital audio through your headphones with the new USB-C port. 9. Two + you: make the switch. It’s easier than ever to switch to Pixel. ● Transfer your stuff from your old phone in 10 minutes or less — photos, videos, music, contacts, calendar events, apps, messages and more. ● Your Pixel Care team is always there when you need them. Made to work seamlessly with your Google devices. ● Forgot to turn on the smart lights in your pumpkin? Just ask your Assistant: “Ok Google, turn on the jack-o-lantern”. ● With Instant Tethering, use your Pixel’s data connection to quickly and easily access the internet on your Pixelbook. ● Get real-time language translations delivered right to your ear with Pixel and your Google Pixel Buds. ● Pairing your supported bluetooth devices is easier than ever with Fast Pair. *Great size choice between the Pixel 2 and Pixel 2 XL. *Awesome camera. My Little One has become quite the photographer now with her Google Pixel 2 Camera. There really is sooo much to love about the Google Pixel 2 and Pixel 2 XL. *and of course our Google Pixel 2 and Pixel 2 XL. I am in love with Google and so is our family. 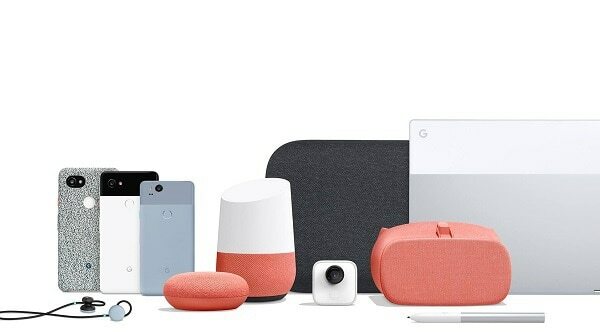 We are beyond ecstatic with the products we have and look forward to checking more of the Google lineup out. Photo and Video credits to Google unless otherwise indicated.